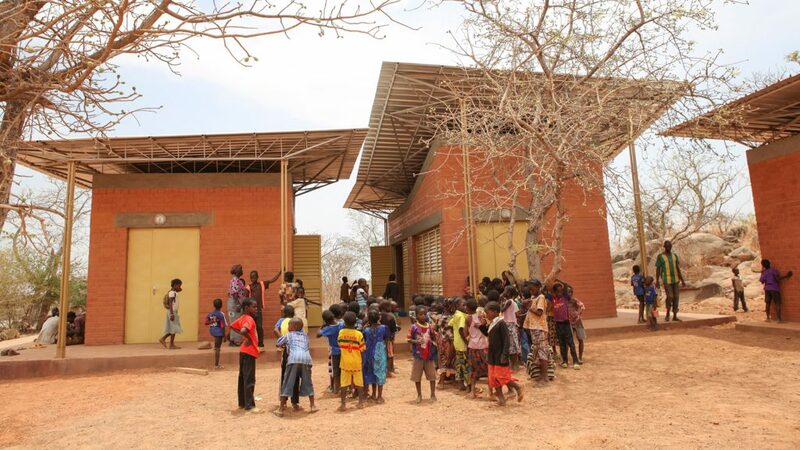 The Operndorf School provides for profound learning conditions and a cultural education, for the children in the rural area around the Operndorf Afrika. 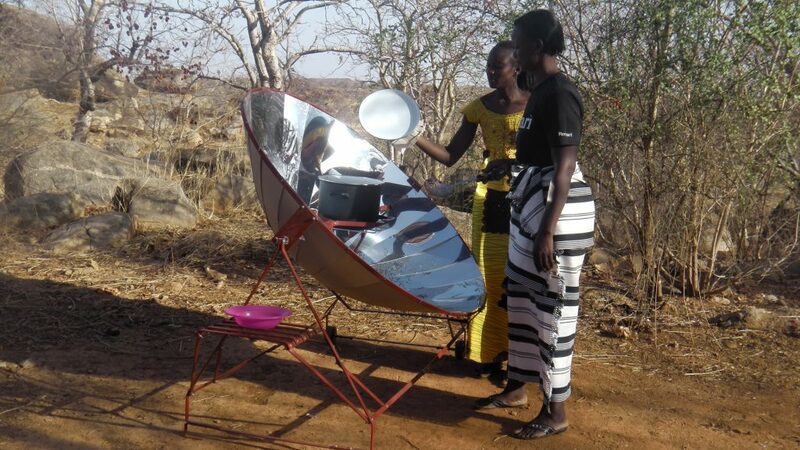 However not only school education, on its own, motivates families to enrol their children: Access to a warm meal each day, as well as to clean drinking water, is also a decisive reason for the parents to send their children to the school. 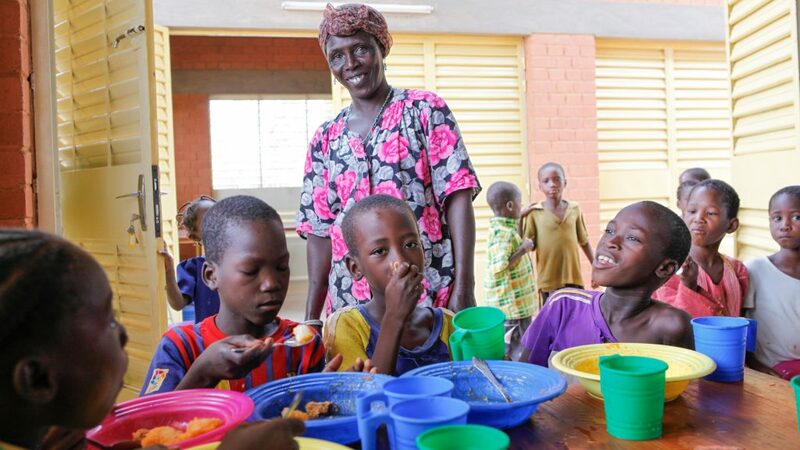 Since 2011, the Operndorf School disposes over a school canteen with attached dining halls for 300 children, in order to provide the pupils and the staff of the Operndorf Afrika with a warm meal, on a daily basis, on school days. Approximately 300 meals must be prepared daily. This is only possible thanks to the commitment of the parents, who are organised under the aegis of the association “Association des parents d’élèves”. 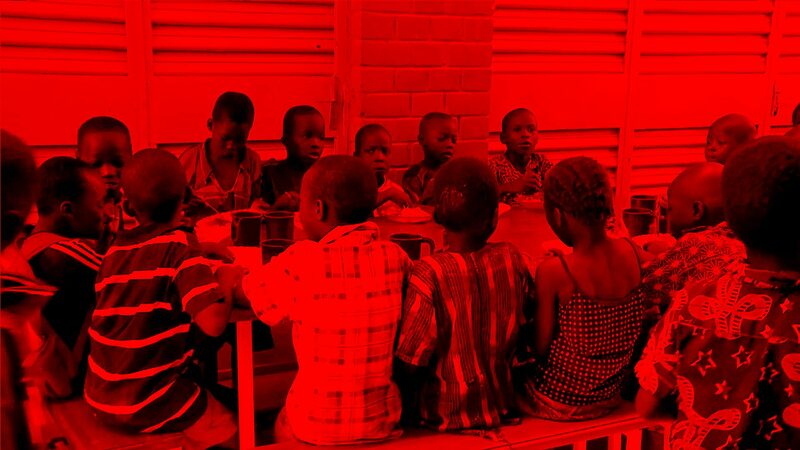 The school canteen is managed by the mothers and grandmothers of the children. The families contribute to the meals, with a small part of their harvest. Our chef de cuisine Denise Compaoré, procures fresh fish and fresh vegetables, once a week, from the market in Ouagadougou. The regular school meals and clean drinking water, has thus made it possible, to improve the malnutrition and general health of the children. 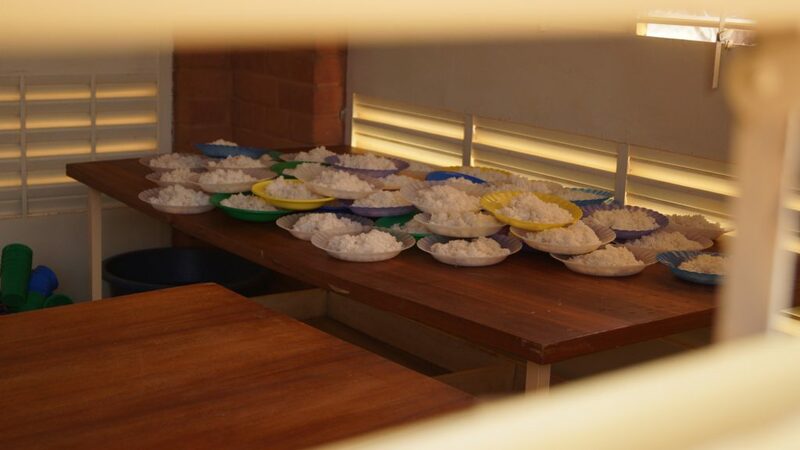 The large portions ensure that the pupils are given the opportunity, to take a part of their meal home, for another child in the family. The canteen strives to provision fresh fruit in the afternoon, on a daily basis, as well as provisions drinking water dispensers in every classroom of the school, which the school children are able to use independently. 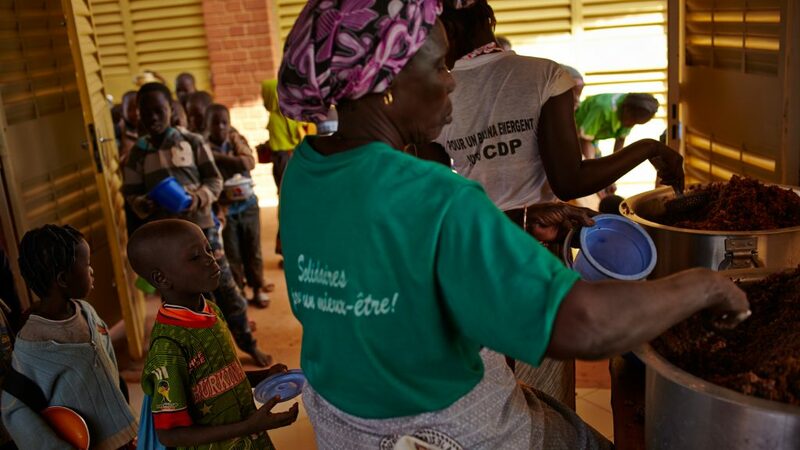 Denise Compaoré endeavours to create a varied meal plan each week, which includes plenty of vegetables, the national dish Tó (polenta made from millet or maize), however the favourite dish of children, pasta with tomato sauce, must hereby also not be left out. 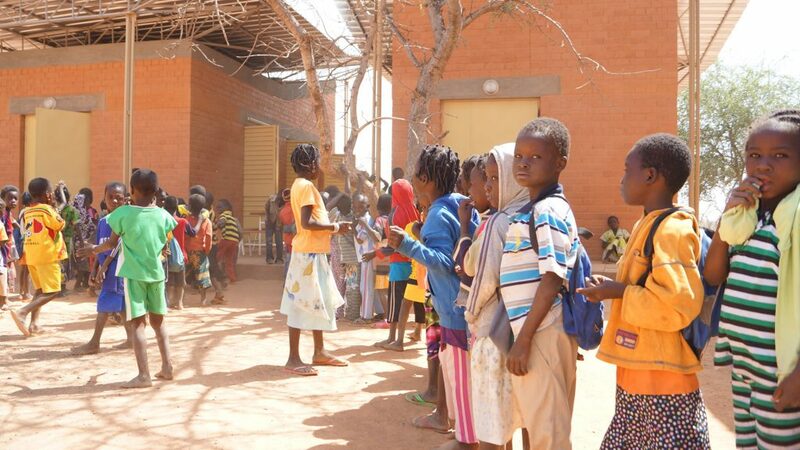 It is not necessarily usual in other schools of Burkina Faso, to provision the school children with food and drinking water. 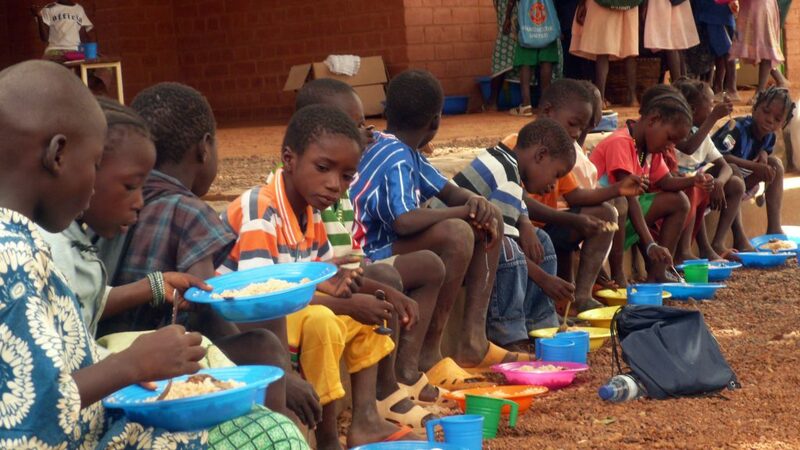 Within the framework of the sustainable concept of the Operndorf Afrika, we endeavour to prevent under nutrition and malnutrition, which is usual in Burkina Faso, by means of the daily provision of the pupils through the canteen and to create the best possible learning conditions, for the school children.